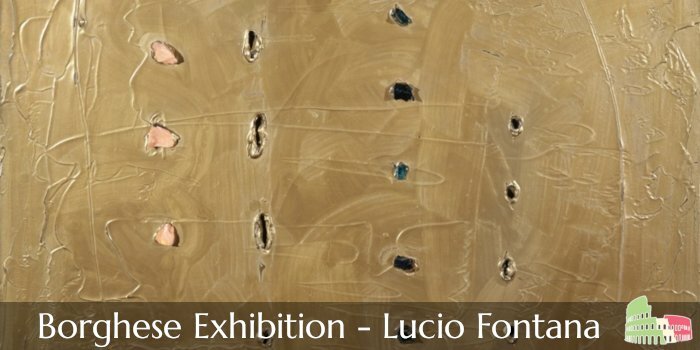 Lucio Fontana. Collezioni di terra e d’oro. Roughly translated as ‘Collections of earth & gold’, this exhibition will feature over 40 pieces in a collection formed around the concept of space and light in gold, and crucifixion in ceramics. Fontana is the first 20th century Italian artist to feature after exhibitions dedicated to the likes of Bacon, Giacometti and Picasso, and the pieces date largely from his output between 1958 and 1968. His works will show alongside Renaissance and Baroque paintings to show the eternal struggle of great art and the concept of space, how to define and escape it. Our Borghese Gallery tickets and tours are all skip the line, and will include the cost of any running exhibitions.